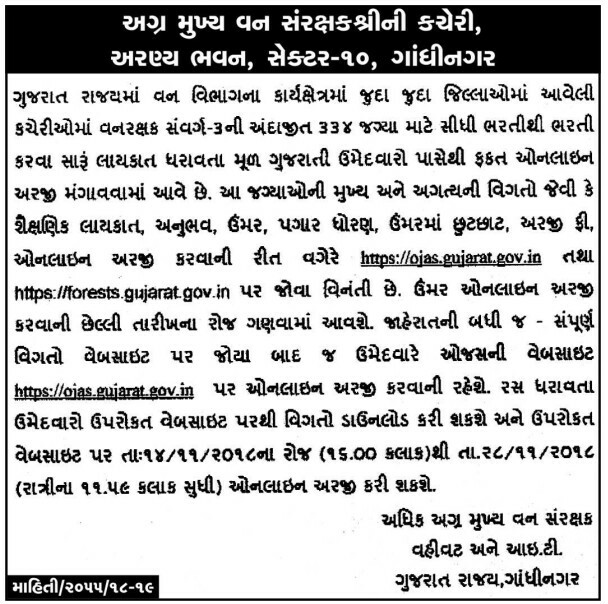 Gujarat Forest Department has recently released a vacancy notification for the Gujarat Forest Guard Bharti 2018 of 334 candidates at Vanrakshak posts. The online application process for these Gujarat Forest Recruitment 2018 will start from 14th November 2018. Eligible candidates are highly recommended to submit their Gujarat Forest Bharti Application Form 2018 before last date i.e. 28th November 2018.